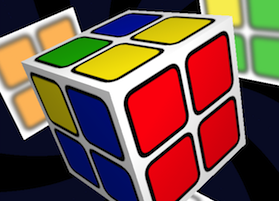 Master the cube ! And defy your friend, online or on your device. Who will be the fastest ? A simple to learn, original and difficult to master puzzle. Are you up to the challenge ? Do you think tower defense games are easy ? Robots in the forest features unique tower defense mechanics, that will challenge your strategic mind ! Can you make a neat pile of falling hexagons ? Well, let's see ! Smooth 2x2x2 cube. It includes multiplayer (split screen and online) and contextual help for solving. A cunning puzzle. There is only one rule : touching one tile switch the six tiles around it. Can you change the color of every tile ? 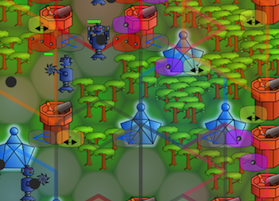 Build towers to defend your forest against robots ! It features a unique upgrade mechanics. Will you master it ? 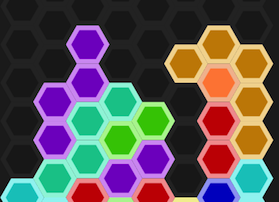 hat would Tetris looks like with hexagons ? Try it now ! It’s quite straightforward to solve the cube using those. First, complete the first layer (actually, it’s half the cube on a 2x2x2 !). I’ll assume you can do this alone — just get the cubbies on the right place one by one, moving already placed cubbies whenever you need to preserve those. Then, turn the cube upside down. You have to know which color goes on this face, and look on the cheat sheet which orientation case you have, and apply the formula. Once the last face is done, you have to swap at most two corner. If it is not the case, just turn the layer or the cube until you get yourself in one of those two cases and follow the algorithm. It’s done ! Dubois Vincent •mai 24, 2013Swap it ! So far, we have discovered how to use the pair and star touch-scheme to fill the board. But not all levels can be won this way. How to handle remaining tiles ? The answer is to move those tiles together, so that they either disappear or form some known form. 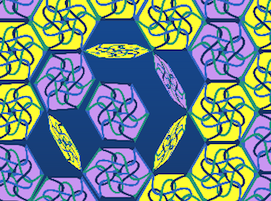 In this animated image, you can see how diamond-shape groups of tiles move. Between each snapshot, only one tile was touched : the one closer to the new position of the diamond. Beware that diamond only move toward the direction pointed by one the two largest angle. As usual, you can see that the same methods apply to the side of the board (you only have to find a triangle, in place of a diamond). Of course, touching back the same tiles will move the diamond (or triangle) back to its starting position. Please not that hitting a wall with a moving diamond results in a two tiles group, because we will be using those in the next article ! Dubois Vincent •mai 23, 2013Swap it ! 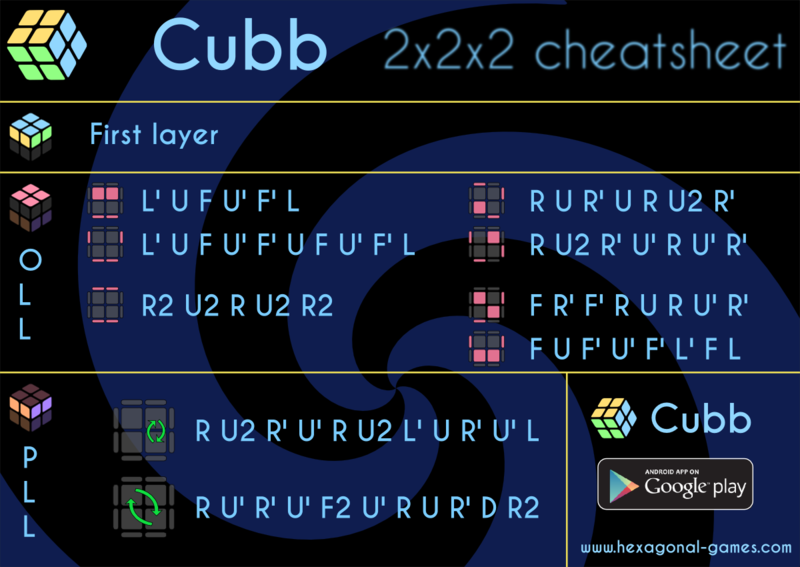 In the first article, we discovered the pair and how to use it to solve some levels. Another very useful and common element is the (3-pointed) star. The image shows how to create and use three pointed stars : start with a pair, and touch two additional tiles, one on each side of the pair. The resulting form can be used to pave some level completely. Can you see how to pave and solve this one using only stars ? Dubois Vincent •mai 21, 2013Swap it ! Swap it puzzle may be hard to solve at first. But in this serie of article, I’ll give you some tips and tricks to help you solve and enjoy the game ! So let’s start with the basics. There are a few basic moves that can be use to solve many levels if you how how to use them. As usual, tiles pushed are shown using some dark disk. Basic move : hit two neighbor tiles. Let’s call this basic move the pair. When used in patterns (3), it solves quite some levels. Go back to the game and try it !